The artist/owner of J.U. 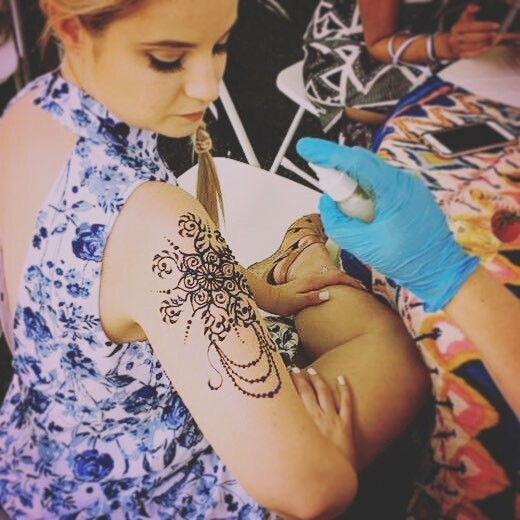 Henna Tattoo has been practicing the henna artwork for over ten years, and can provide henna for appointments, parties, events and more. The most common comment I get is "this is so relaxing!" Henna is a meditative experience for all the senses: Feeling the cool, smooth henna paste, smelling fresh citrus, lavender and other essential oils, and watching beautiful designs being born before your eyes. And the best part - you leave with beautiful artwork on your skin that requires no commitment! It lasts around one to three weeks - just long enough to enjoy it. Book J.U. 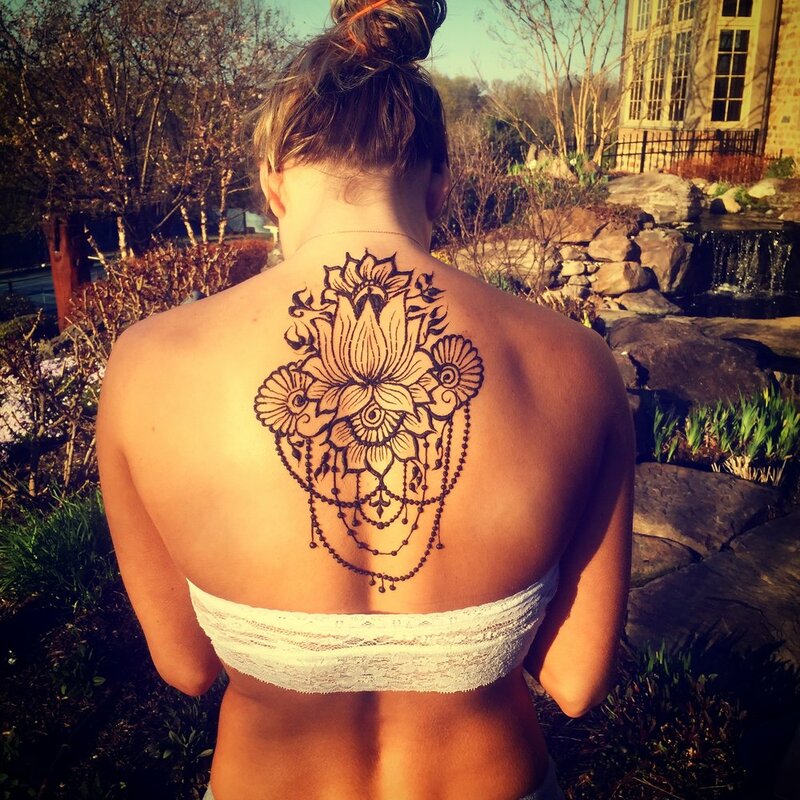 Henna Tattoo for a party or event.